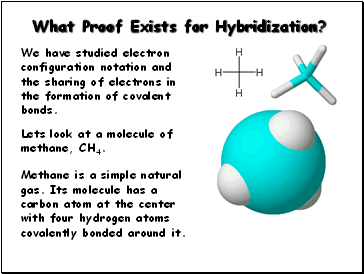 What Proof Exists for Hybridization? carbon atom at the center with four hydrogen atoms covalently bonded around it. Lets look at a molecule of methane, CH4. 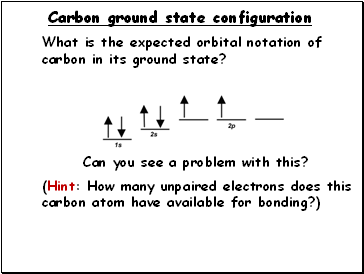 What is the expected orbital notation of carbon in its ground state? Can you see a problem with this? 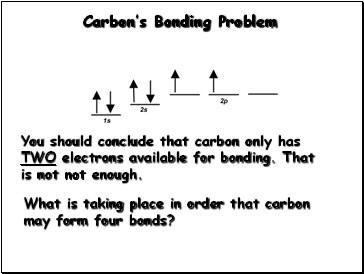 You should conclude that carbon only has TWO electrons available for bonding. That is not not enough. 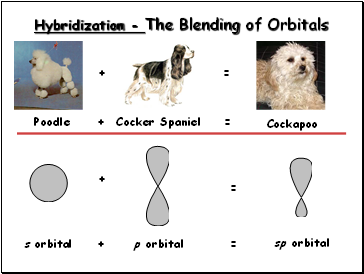 What is taking place in order that carbon may form four bonds? 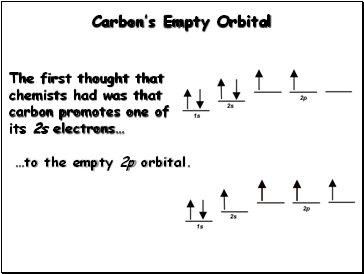 …to the empty 2p orbital. 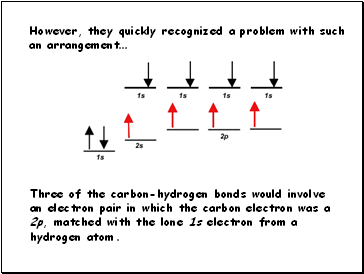 an electron pair in which the carbon electron was a 2p, matched with the lone 1s electron from a hydrogen atom. electron pairs of equal energy. But what about the fourth bond…? 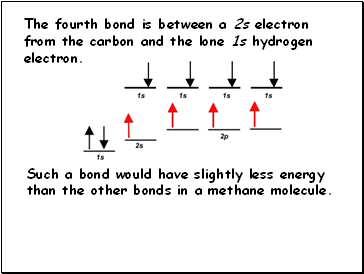 The fourth bond is between a 2s electron from the carbon and the lone 1s hydrogen electron. 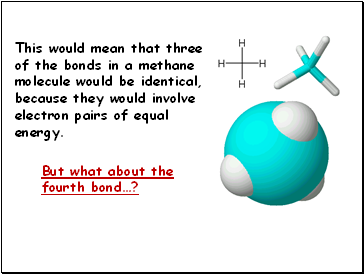 Such a bond would have slightly less energy than the other bonds in a methane molecule. 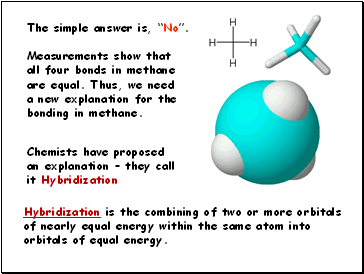 the other three bonds in methane. 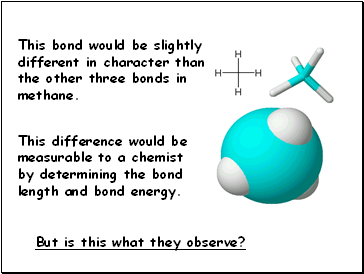 by determining the bond length and bond energy. But is this what they observe?